Christine was amazing. She also answered all my calls in a timely manner. She was calming the day of and the photos came out amazing! Christine is extremely friendly and easy to talk to. This was important to me since I knew a would be spending a large part of my wedding day with her. When my fiancee and I were getting our picture taken she made us feel comfortable. The pictures turned out wonderful! 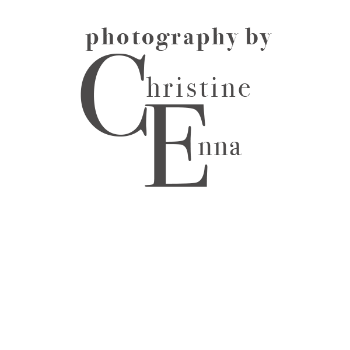 We have used Christine Enna Photography for many occassions! She is a true professional and has the unique gift of putting everyone at ease in front of the camera. She also knows how to organize everyone for you! Christine takes beautiful photos of everything you want and has this amazing ability to capture candid moments in the most artistic way. Her photos bring back amazing memories everytime we look at them! We will certainly use Christine Enna Photography again. "